Escondido, CA, January 12, 2012 — Trust Across America has selected Randy Conley, Trust Practice Leader at The Ken Blanchard Companies, as one of North America’s Top 100 Thought Leaders on Trustworthy Business Behavior for 2012. Trust Across America is dedicated to unraveling the complexities of trustworthy business behavior and believes these people collectively represent a group that can genuinely transform and reverse the cycle of mistrust in business. 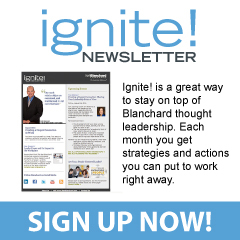 The Top 100 Thought Leaders represents the culmination of three years of research. Trust Across America sought the counsel of and requested nominations for this honor from over 150 professionals across the nation. The list was narrowed through an extensive vetting and independent judging process. As leaders of The Most Trustworthy Public Companies in America, these ten CEOs were included in the list. 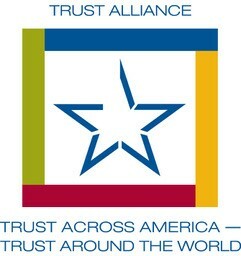 Trust Across America™ (TAA) is a program of Next Decade, Inc., an award-winning communications firm that has been unraveling and simplifying complex subjects for over 20 years. TAA provides a framework for public companies to improve trustworthy business practices, as well as showcasing role models that are exhibiting high levels of trust and integrity.